I like to think he's listening to the score. Giving Elfman & Horner some competition. Move over Gwen & MJ - Liz is here. Spider-Man: Homecoming was provided courtesy of The Krakower Group and Sony Masterworks. Thank you! What You Will Hear: Standard Giacchino & Marvel orchestra, with a lot of pizzicato and some drum set early on. Will You Be Humming Along? Yes. These are some of the catchiest themes of the year. Will I come back to it? Yes. Spider-Man: Homecoming has given Michael Giacchino a chance to show off in a variety of character soundscapes. Whether it is humor, action, romance, villainy or heroism, the composer does not disappoint. And, as usual, his ability to hold it all together with a unifying use of themes is just wonderful. The defining characteristic of this score is the main theme. It is perfect. The A section serves as a fanfare when needed, but easily works as plucky material representing a high school kid. The B section also works in a variety of settings, and always does its job of keeping things moving forward. Both sections are heard often and in a wide range of styles. The rhythmic and stylistic variations kept my attention for the entire listening experience. It was so much fun to hear how he’d throw in thematic material in new ways and then come back to the original version at big moments. In this sense, the use of compositional tension in release has been mastered. He shows you something awesome (release), then messes around with it (tension), and eventually rewards your attention with a crystal-clear statement (release). Every appearance of the theme (especially those fun pizzicato moments) is a win for the listener. On the flip side, Vulture's theme is as heavy as it gets. Compared to the playfulness and heroism of Spider-Man, this theme has a real “no one’s getting out of here alive” feeling. My only complaint is that, at times, it is even too heavy. The brass is so powerful, that I find myself wishing they would have been mixed down to help fit this theme into the rest of the listening experience. There are some really cool sounds (Gamelan?) lost behind the melody. Don’t get me wrong, it is one of the most enjoyable baddie themes in recent memory. But, it sometimes feels a little disjointed when compared to the rest of the material in this score. I almost wish it had been saved for Thanos - but I'll take it here! A secondary action theme (see: Monumental Meltdown) seems to be loosely based on the main theme's B section. It is another lively example of Giacchino tying everything together. The romance theme is simple and lovely when needed, but doesn’t show up often. Throw in a few statements of Alan Silvestri’s Avengers theme, and you’ve got a wonderfully cohesive score held together by excellent thematic writing. The themes rule this score and Giacchino's big orchestra and variations solidify the score's status in our HoF. 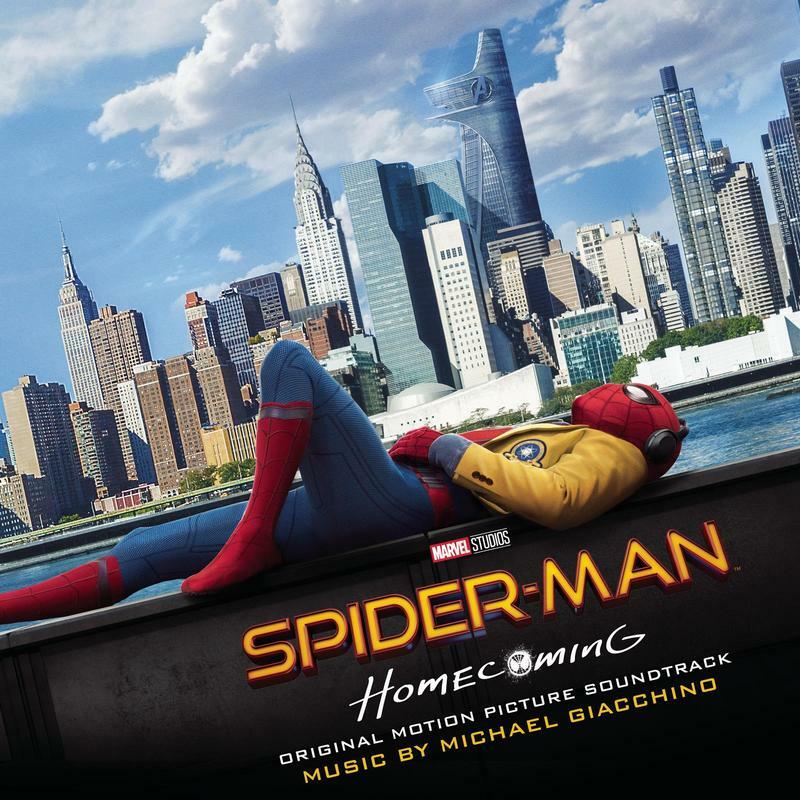 Spider-Man: Homecoming might not be the most iconic or best score in the MCU (or Giacchino’s catalogue), but it is absolutely the most fun. I will return often. P.S. - That high school band needs to work on tuning, blend, and... well, everything.